Colleges and universities are not in the business of IT—they are in the business of education. Since IT investments are made in pursuit of that goal, information about hardware and software usage in computer labs helps administrators determine whether (and how much) past investments are being used; which, in turn, helps them make better future decisions that increase overall financial efficiency. But tools and methods for gathering and analyzing usage data—whether manual, automated in-house, or purchased from a vendor—also compete for resources, and must provide a sufficient ROI to justify their existence. KeyServer has been engineered as a full-featured Software Asset Management (SAM) solution, with robust functionality not just for program discovery, but virtually 100% automated product normalization. Instead of simply recording an isolated list of applications on a computer, KeyServer determines which product suites and version numbers are there as well. In competing systems, according to our research, users have to do the legwork themselves to mirror this level of reporting, by manually “tagging” individual programs as the components of a larger product. KeyServer’s cloud-hosted Product Recognition Service does this work automatically. Other Sassafras features not provided by the competition include account-level customizable dashboards, active software license management, purchase and entitlement tracking, product upgrade discoveries, license optimization reports, OS hotfix auditing, font auditing, the ability to block the launch of software, hardware lifecycle management, and more. 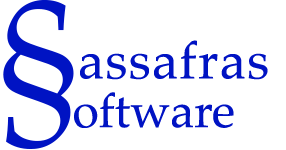 Sassafras KeyServer is known in the ITAM industry for its extensive customizability. With hundreds of built-in but highly flexible report templates; multi-tiered admin accounts; ODBC, JDBC, Rest API for import/export; fine-grained access controls; and cross-platform support, you simply cannot beat the dynamic possibilities KeyServer provides. 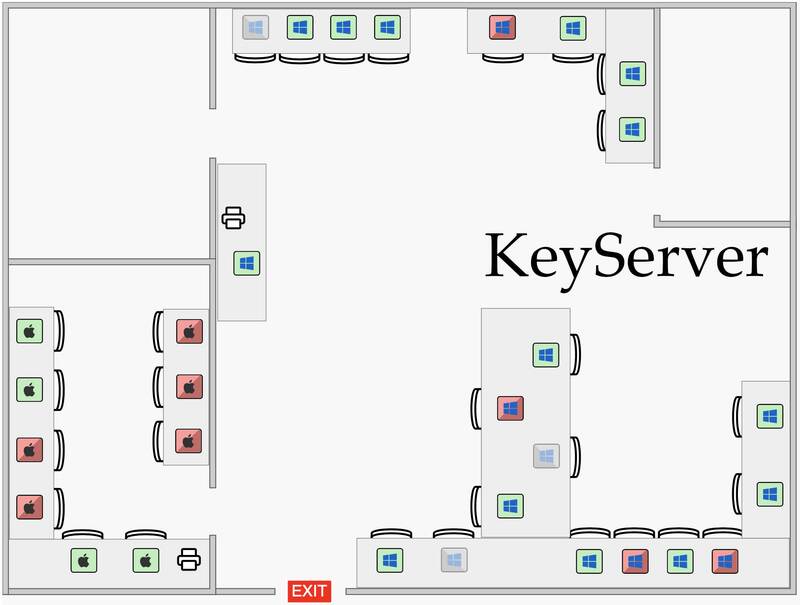 KeyServer can easily scale to virtually any size, from less than 10 seats to tens of thousands. Originally designed when every byte counted, our client application generates roughly 35kb of data per day. That’s about the size of a simple text document, or a single 400-pixel square image. The largest KeyServer installation supports over 200 thousand client machines. Both the server process and the client are compatible with Windows, Mac, Linux, and Solaris operating systems running on physical, virtual, thin-client, and other common VDI environments. Web-based product tracking is also easily implemented for complete usage reporting of products with both URL and desktop components. 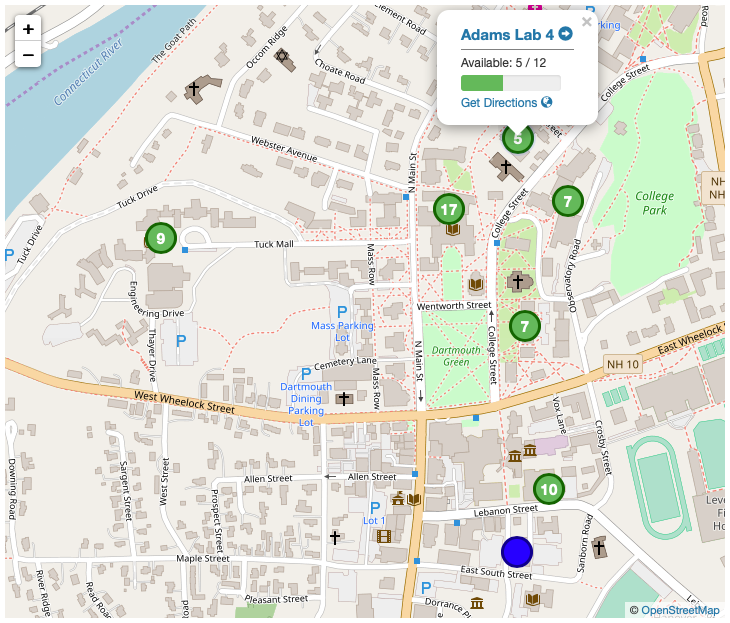 Though there isn’t a client application for mobile operating systems at this time, some users track mobile usage of university-owned applications accessed through a web portal by installing the client in the virtual environment. Whether it’s our integrated, 1st-party database architecture; our easy-to-use AD-based client and user authentication (with active OU syncing); or our rock-solid, self-updating, nearly invisible client app, Sassafras KeyServer is known in SAM circles as the market-leading, “set it and forget it” industry standard. 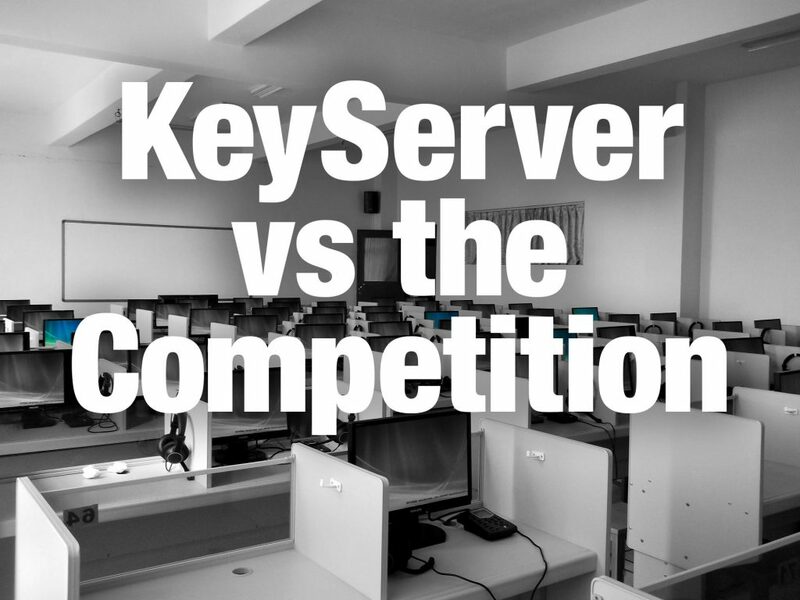 Many KeyServers have been in operation for years without maintenance. In fact, we consider the reliability of our product both our greatest strength and our biggest weakness: one of our most challenging tasks is informing our long-term customers about the constantly growing list of new features on a product they spend virtually no time maintaining. Reliable data is accurate data, and this is another area where Sassafras KeyServer shines. Side-by-side with any other usage tracking tool on the market, we have been told time and again by our customers that KeyServer is the “gold standard” they use to “sanity check” the accuracy of other data sources. 1. Deploy — Install KeyServer and deploy client agent to lab computers. 2. Discover — Hardware details and installed software are automatically discovered and normalized. 3. Decide — Automatically group computers into lab divisions by name prefix, OU, or IP address range, and create policies to track usage for the software that matters. 4. 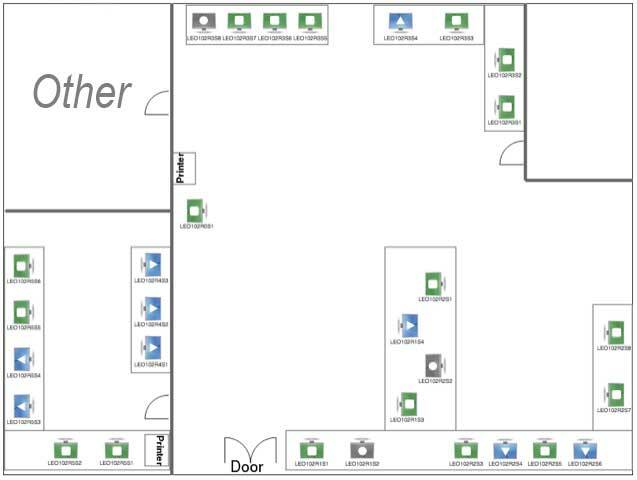 Design — Draw and lay out computers for each lab within minutes, publishing computer availability, OS, and installed software information to end users immediately. With KeyServer you’re getting the most flexible, scalable, reliable tool for monitoring and reporting on computer hardware and software usage in the industry, period. And be sure to check out our 90 Second Labs workout video to see our ultimate “lab sculpting” techniques in action! Before we started using K2, our annual numbers were just a guess. Now, with K2’s reports, we save money.